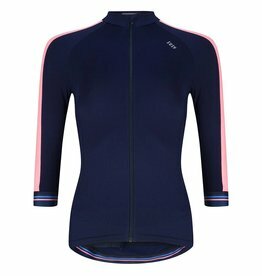 This unique ladies 3/4 cycle tight is perfect for cool summer mornings or spring days. 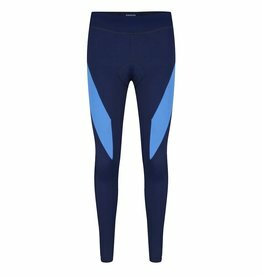 The high-tech navy design and the ocean blue spray makes these cycle tights stylish & unique. The spray is handmade so each Susy 3/4 cycle tight is one of a kind. The extra high waist provides a comfortable feminine fit. The fit of the 3/4 cycle tight are shaped into women’s hips. 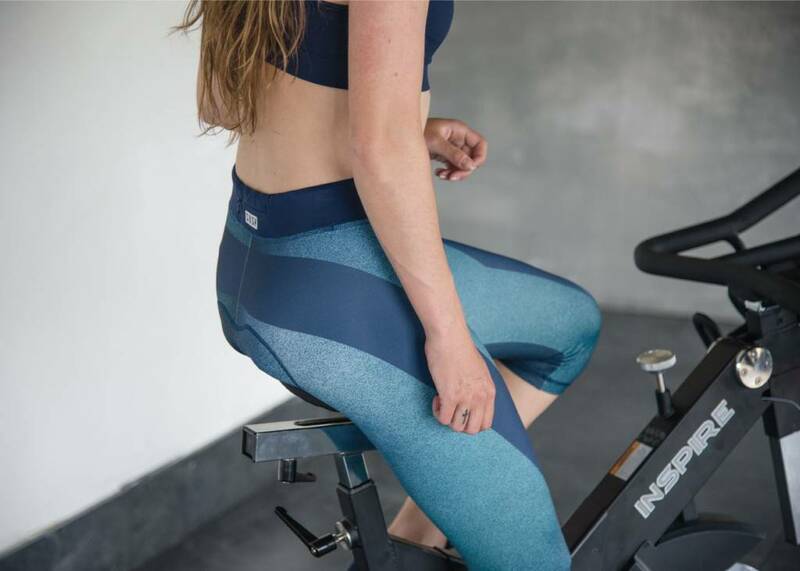 The extra high waist is well-tailored and super comfortable during your ride. The 3/4 length of the ladies cycle tight is just below the knee (the inseam is approximately 43 cm measured from crotch.) 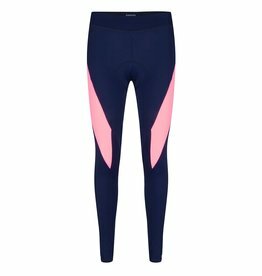 The ladies 3/4 cycle tight are made with a very soft flatlock stitching to prevent chafing. The unique 3/4 cycle tight is made out of high-quality lightweight Italian fabric including an anti-bacterial finish. -Four-way stretch, even after frequent use the fabric remains in shape. The Elastic Interface chamois pad gives you ultimate performance during your longest rides. All Susy ladies bike shorts have a performance Elastic interface chamois to avoid saddle soreness. 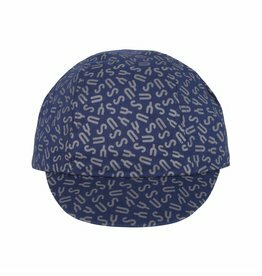 Susy cyclewear has chosen this chamois pad because of it’s high comfort, breathability and stretchability. -Smooth top layer to prevent irritation. -Three-dimensional shape for extra support of the pelvic bones. -The perfect combination of perforated foams for extra breathability. -The shape is designed for female anatomy and ultimate freedom of movement. 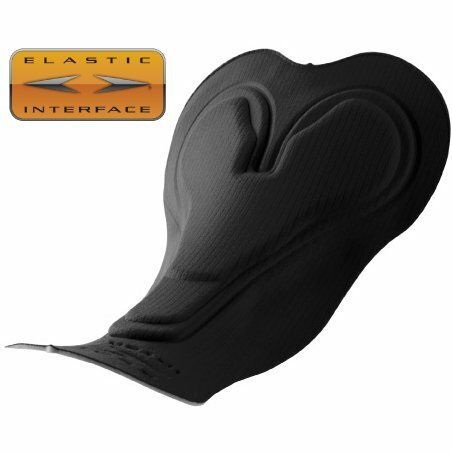 Elastic Interface performance chamois are known for their high quality. You can recognize the Elastic Interface chamois by the orange hangtag attached to the Susy cyclewear 3/4 cycle tight. Every Susy 3/4 cycle tight contains a small YKK key pocket. The reflective logos on the Susy 3/4 cycle tight creates extra visability. De zeem is top, 4,5 uur mee op de fiets gezeten a 115 km. Dus tot zover helemaal happy! Ik wilde nog even laten weten dat de broek goed zit. Zeem is echt heel goed, heb er 3,5 uur mee gefietst en totaal geen pijntjes. 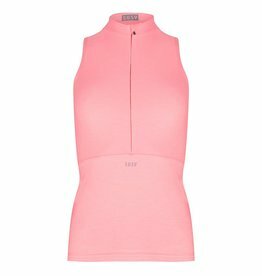 This Susy long cycle tight has an amazing coral pink design. The Susy cap that makes your outfit complete.